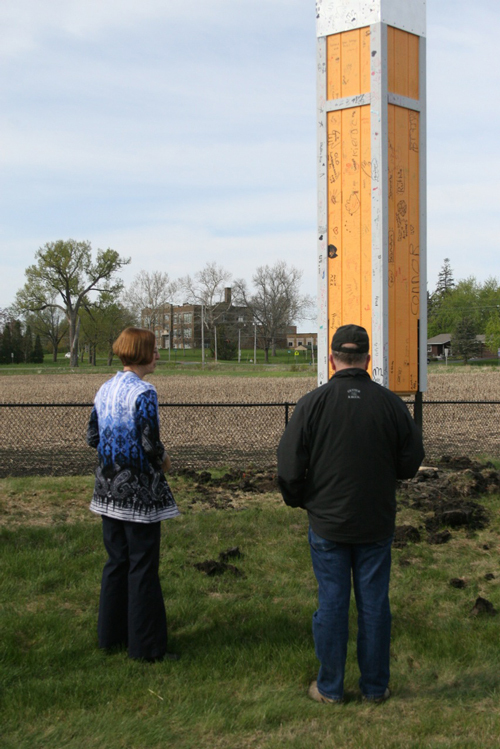 Several Iowa communities have shown interest in erecting swift towers to help mitigate the losses of old brick chimneys used by Chimney Swifts for nesting and protection during migration staging. The IOU partially funded a project in Waterloo that was immediately successful. For roughly $400 - $800 (depending on donated materials) local groups can do a project like this as well. The book mentioned in the above-referenced report is available through the Chimney Swift Conservation Association. For a short overview with some construction plans, read the article by the Driftwood Wildlife Association.